Liver Corrective & Protective Capsules and Syrup formulated to provide multifarious protection against toxic drugs, viral & alcohol induced liver toxicity. Stimulates and regularizes liver functions thus promotes bile secretions. Facilitates digestion, correction of liver disorders and boosts liver efficiency. Highly effective in viral hepatitis. Protects liver from hepato toxic drugs and alcohol stimulants of both cell mediated and humoral immunity. 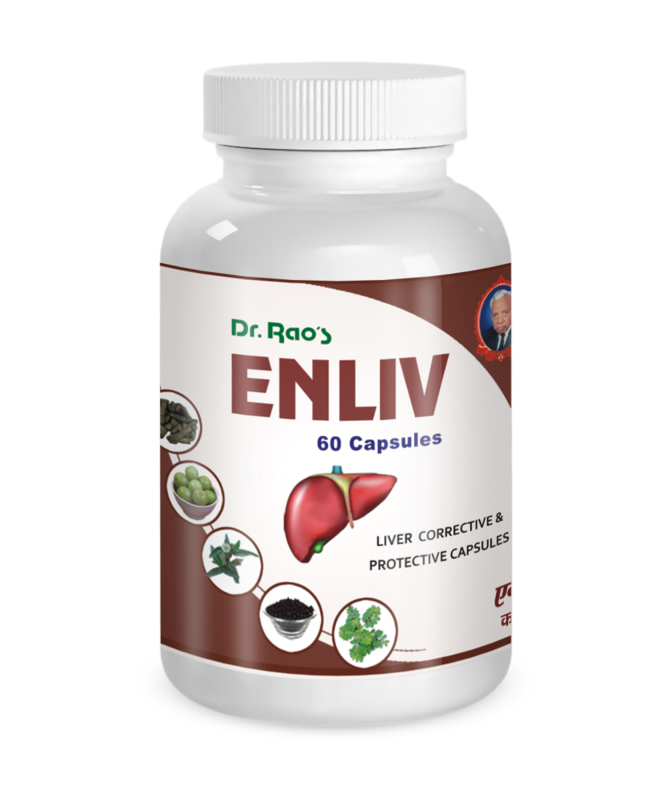 Has Natural extracts of herbs and is formulated to provide multifarious protection against toxic drugs, viral and alcohol induced liver toxicity. The penta punch of liver protective herbs: Bhringaraj, Bhumyamalaki, Kalmegh, Katuki and Chitraka are added into the right strength for consistent reliability and reproductive efficacy into variety of liver disorders. Coerhaaviadiffusa, Picrorhizakurroa (Katuka), Plumbagozeylanica (Citraka), Berberisaristata, Zingiberofficinale, Piper longum, Piper nigrum, Andrographispaniculata (Kalamegh), Tinosporacordifolia, Cassia angustifolia, TrijatakaArka (Distillate of Cinnamomum, Cardamomum& Cloves), Syrup – base. One to two capsules twice or thrice a day after food.